We’re all prone to bad habits, and unfortunately hunching is one of the most common and disastrous for our backs. Using a back support cushion, you can improve your posture dramatically, as well as reducing aches, pains and making long stretches of sitting less of a chore. 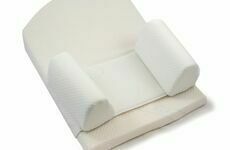 Our guide to back support cushions will cover the various options, and give recommendations for which back/lumbar supports are best for you. You may be mistaking in thinking support cushions are only necessary only for those with bad backs or some kind of physical problem. 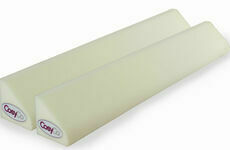 However if you’re a healthy, middle-aged office worker, back support cushions should play a crucial part in your day. Not only will it match the curved contour of your spine and force you to sit with good posture, but the added comfort will save time constantly adjusting your office chair, and you’ll find it far easier to achieve the ideal eye-level for your computer monitor. Although most of these cushions serve similar purposes, there are various unique benefits to different models. The Memory Foam Back Cushion, for example, features shaped sides that hold-up the over-taxed lateral muscles, which in turn allow it to give twice the level of support than that of an ordinary lumbar cushion. The ingenious Lumbar Belt meanwhile has been designed with sewn in flexible stays that subtly remind the user that they should adopt the correct lifting procedure. Both of these are multi-purposed; allowing you to maintain proper back posture whether at work, at home or in the car. There are back support cushions designed to reinforce your back as a whole, however others are designed to target specific areas such as the lower back or neck. For example, sufferers of chronic lower back pain (also known as lumbago) would benefit most from this Posture Back Cushion, which supports the spine and lower back with added standard lumbar cushions, with twice the support of standard designs. Our Car Back Cushion, aside from being travel-friendly, have been manufactured with a removable section specifically designed to reduce or increase the level of postural support, depending on the wearer’s preference. Plan its usage ahead; if you’re likely to be in the car for more than 15 minutes at a time, then it’s worth setting up to avoid getting nerve pain that travels down the legs - a common factor of back injuries. If sitting down for extended periods of time, it’s recommended you place your feet on a mini stool to take away some of the stress on your back. 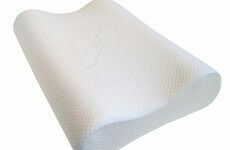 Your back support cushion should rest in the small of the back, and you should always use a chair with a firm support. Both of these will keep the normal curve of your spine.